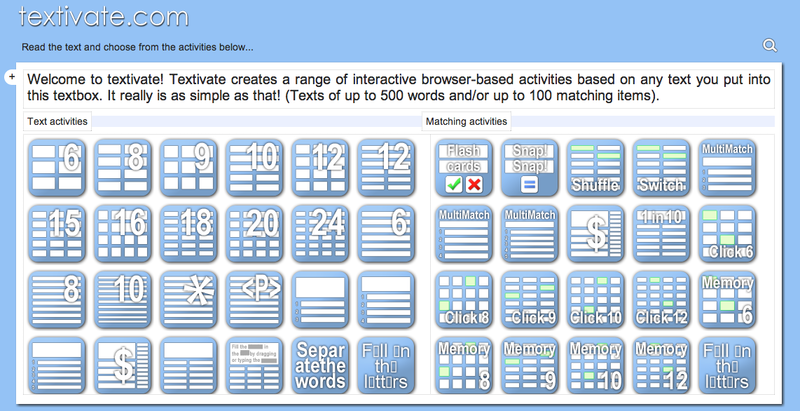 How about quick way to create up to 44 different activities based on up to 500 words? Find your favorite vocab list and head to Textivate. Once the words are pasted into the box on the Textivate page, generate the desired activity. There is even a “?” that can be clicked so the user can get directions if s/he needs help. This would be fun to use in so many classes – really anything with vocabulary, matching, math problems and answers, events, it could be used for almost anything text-based.